Do you have a strategic plan? If so, are your fundraising efforts in concert and alignment with the plan? If not, are you struggling to get buy-in for creating a strategic plan at your organization? Join us as we discuss how to create and leverage your strategic plan to motivate your staff team, engage your Board, and inspire your donors to make more meaningful long-term investments in your organization. Bring your lunch and join your development colleagues. After the webinar share your takeaways and aha moments with your peers. Build a strategic plan that simultaneously meets your culture where it currently lives, and motivates staff and volunteer leaders to stretch, grow and embrace change moving forward. Craft a vision statement that intersects, complements, and aligns with your strategic, action, and fund development plans. Diagnose and treat organizational illnesses that often hinder efforts to move your organization in the right direction strategically. Maximize buy-in and engagement with internal and external stakeholders, including building meaningful partnerships with current and future philanthropic investors. Martha H. Schumacher, CFRE, ACFRE, MInstF (AdvDip) is an international social impact and philanthropic thought leader, author, speaker, coach, and champion. President of Hazen Inc. and the Hazen Institute for Leadership Training (HILT), she is dedicated to unparalleled client service and leadership training, providing executive campaign counsel, major and mega gift strategy, and change management coaching. Martha is the Association of Fundraising Professionals (AFP) International Chair-Elect, and previously served as AFP Vice Chair of External Relations and Political Action Committee (PAC) Board Chair. She lives in Alexandria, Virginia with her husband and two rescue dogs. Bob Carter is one of the world's most respected, experienced and recognized experts in the areas of Institutional Strategy and Philanthropy. During the past four decades, Bob has helped strengthen a variety of organizations throughout the world by helping them overcome challenges and capitalize on opportunities to be successful. 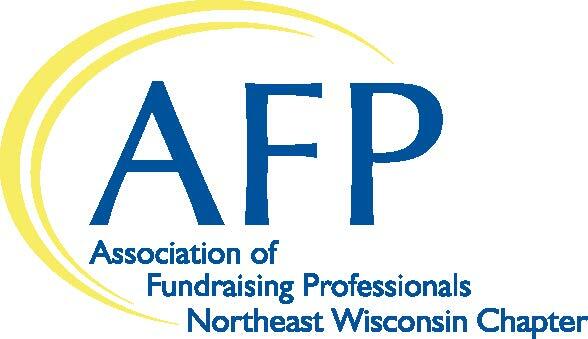 Bob is Chair-emeritus of the Association of Fundraising Professionals (AFP) International Board of Directors. Bob is also Chair-emeritus of the National Aquarium; and is a current member and past chair at The Mote Marine Laboratory. He is a past board member of Indiana University Lilly Family School of Philanthropy; and he also chaired the boards of Gateway Rehabilitation Center, the e-Philanthropy Foundation and the Boys' Latin School. In order for AFP Northeast Wisconsin to confirm meals and seating with the venue, cancellations must be received in writing via email or U.S. mail at least one week before the start of an event to be eligible for a full refund. No refunds will be made for requests received after that time, by other means, or for those who choose not to attend. If advanced payment was not received, an invoice will be issued. You may always send an alternate to an event without additional charge. To request a cancellation, send an alternate, or make other changes to your registration, please contact the Chapter Administrator at: afp.newi@gmail.com or AFP Northeast Wisconsin, P.O. Box 2242, Appleton, WI 54912.